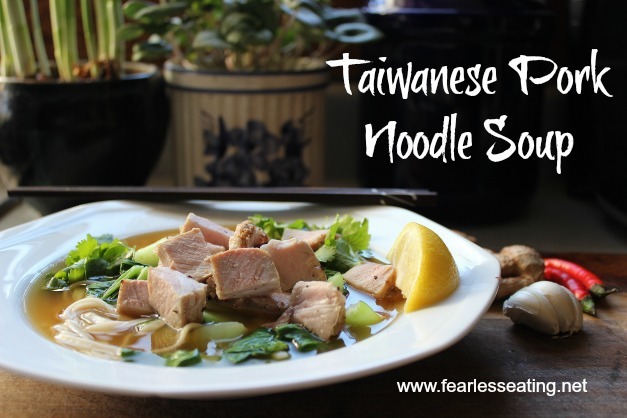 This Taiwanese pork noodle soup recipe was inspired by a recipe I found for a Taiwanese beef noodle soup recipe that I wanted to make exactly as it was written. But as so often happens, I didn’t have half the ingredients. And I didn’t want to go to the store to get them. I was hungry and cranky (aka “hangry”) and I wanted it NOW. So I improvised with what I had. The result was something completely different from the original recipe. In fact, it’s so different that I have no idea if this recipe is truly Taiwanese or not. But my taste buds don’t care and yours won’t either because in the end all that matters is that this pork noodle soup is absolutely phenomenal. Hands down, one of the best I’ve ever made. 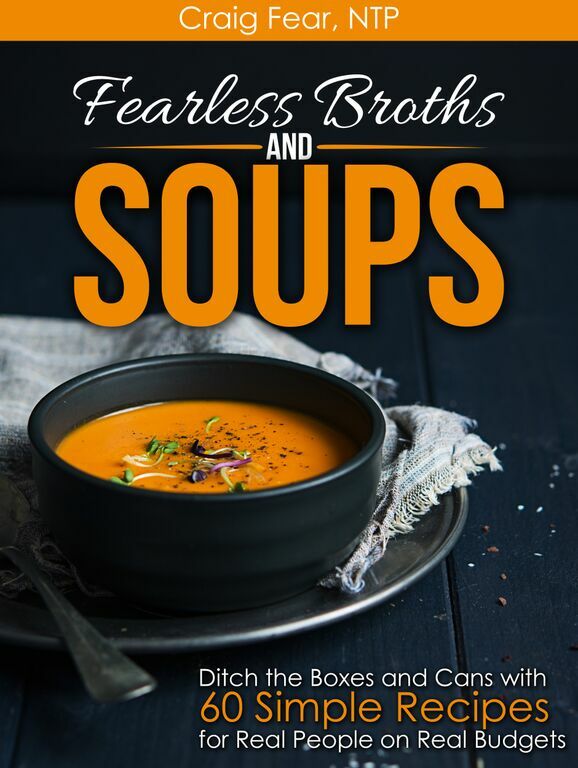 This recipe is also included in my new book, Fearless Broths and Soups: Ditch the Boxes and Cans with 60 Simple Recipes for Real People on Read Budgets. All the recipes are designed to be easy to follow with 3 simple steps and affordable ingredients. And it features an entire chapter of Asian noodle soups! If you’d like to get more recipes like this one, be sure to keep reading below the recipe. 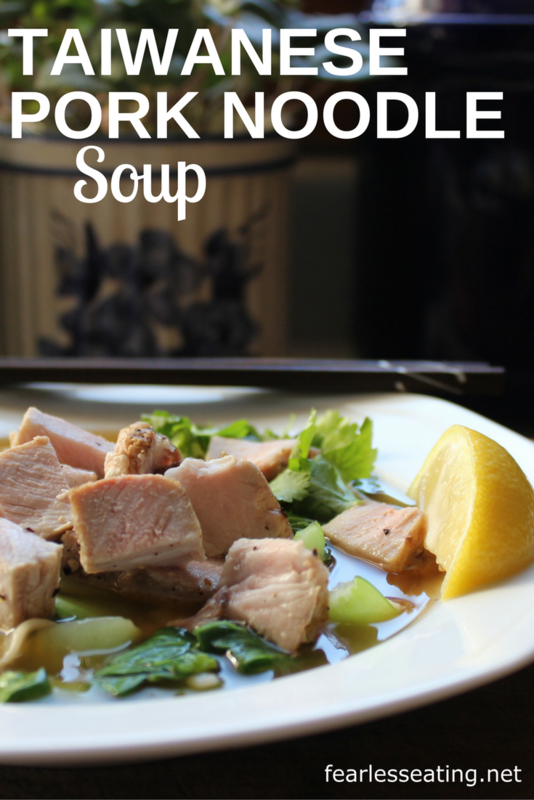 Classic Asian ingredients and flavors are featured in this Taiwanese pork noodle soup. 3-4 pound piece pork, cooked separately and sliced any way you want. Noodles of choice - udon, egg noodles, soba, etc. Combine chicken or pork broth, rice wine, ginger, garlic, chilies, anise and black pepper in a sauce pan, cover and simmer gently, 30-60 minutes. While broth is simmering, prepare noodles. Add bok choy with the noodles in the boiling water in the last few minutes and simmer a few minutes til tender. Drain and run cool water over noodles and bok choy. Set aside. Place noodles and bok choy in soup bowls, top with pork and ladle broth over. Season to taste with accompaniments. 1. Sub chicken for the pork for a Taiwanese chicken noodle soup! 2. The Thai red chilies in this soup are VERY spicy! 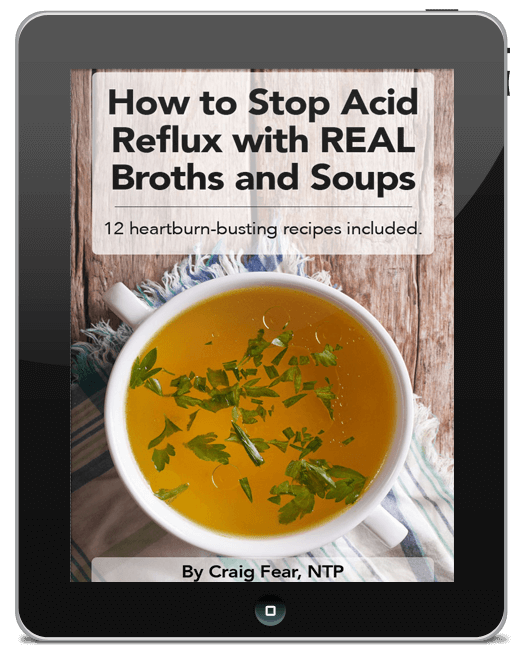 The two I use are just enough to give the soup a solidly spicy boost to without it being overpowering. But that’s just my personal preference. Exclude them if you’re not a fan of spicy. Or add more! 3. Because this soup has a spicy kick, I love the addition of a little sugar to complement the spice. I add about a teaspoon per bowl. But you could certainly leave out the sugar entirely. Or add more! 4. Experiment with different herbs and seasonings. Add in a cinnamon stick. Throw in some cloves or fennel seeds. A little of this or that won’t ruin your soup. It will only enhance it. 5. Chinese egg noodles work well in this recipe. I often use udon. Get More Asian Noodle Soups! My travels through Asia have left me with a permanent life-long love of Asian noodle soups. I make them ALL THE TIME. 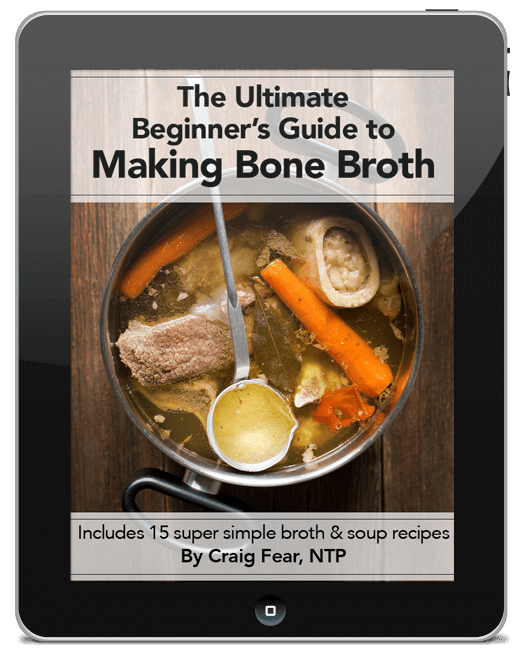 As previously mentioned, I have an entire chapter in my new book devoted to simple 3-step Asian noodle soups. Needless to say, it’s my favorite chapter.